45% Off Supplements, 25% Off JT Probiotics & Vitamin K2, Plus Screaming Deals on Saunas, Instant Pot, and More! Here it is, the best time of year to stock up! This sale is for 35% off ANY Perfect brand product, BUT you can also use my KOP coupon code for another 10% off and get 45% off total! –> Watch my new video with Perfect Supplements here! –> Watch my new video about vitamin K2 here. Learn why taking K2 is vital for heart health, bone health, and so much more. Also learn about the difference between MK4 and MK7 and why you should never take calcium! –> Watch my new videos about Just Thrive probiotic here: How JT can help acne and How JT can help with histamine issues and chronic infections. Is your probiotic actually doing anything or are you just wasting your money? What you MUST know if you're taking calcium or vitamin D.
20% Discount for 24 hours on Black Friday (11/23). 10% Discount for 48 hours on Sat-Sun (11/24 – 11/25). 10% Discount for 24 hours on Cyber Monday (11/26), AND all orders over $2500 get a free Single Light Panel (normally $349). How it’s good for inflammation, cell regeneration and detox! 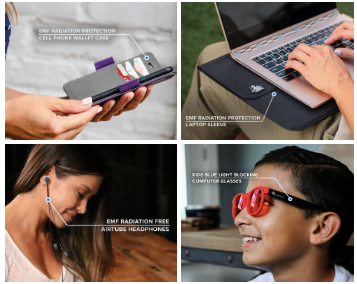 Provides protection from “dirty electricity” and EMF stress on our bodies. How it’s low temperature and more comfortable than other saunas. How often is best to sit in a sauna. 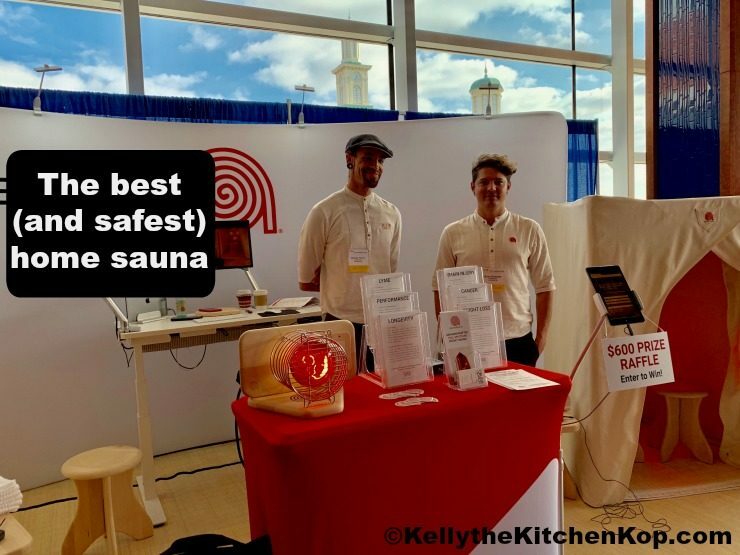 How the sauna is made, natural materials that make it safe with no off-gassing. The difference between near infrared and far infrared lights and how it mimics our ancestors. How many inches the light penetrates into our body to detox. Sauna benefits: autoimmune, orthopedic pain, lyme, chronic pain, skin issues, mood — helps every health issue as it makes our cells more efficient and because light is the ultimate nutrient. How we get too much poor quality light now with flickering lights or lights from our devices which energetically stress us. How to bring back the lost art of just BEING and peacefulness! Find more info at the Sauna Space site here. 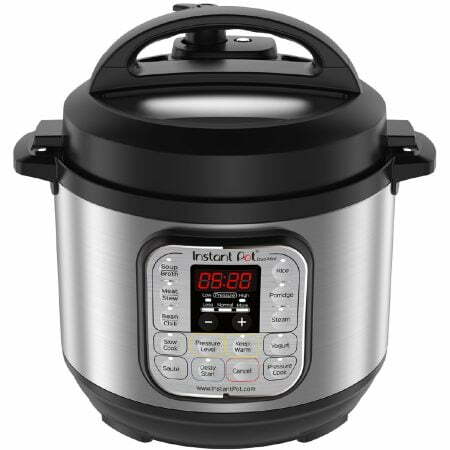 Currently this Instant Pot is $32 off, but these sales come and go, so I apologize if it changes by the time you see it! Check here for updated deals. Here are my favorite uses for pressure cookers. I'm telling you about this one now, because it's a big purchase, and you probably need to think about it over the weekend. So if you've been considering getting a whole house filter (you shouldn't shower with unsafe water any more than you should drink it! ), then check this out. Removes chlorine, chloramines, fluoride, heavy metals and VOCs in one tank. Features a long filter life (minimum capacity of 1 million gallons or 10+ years). Virtually maintenance-free for the lifetime of the product. On Monday click here and use the code KELLY10 to get 10% off. 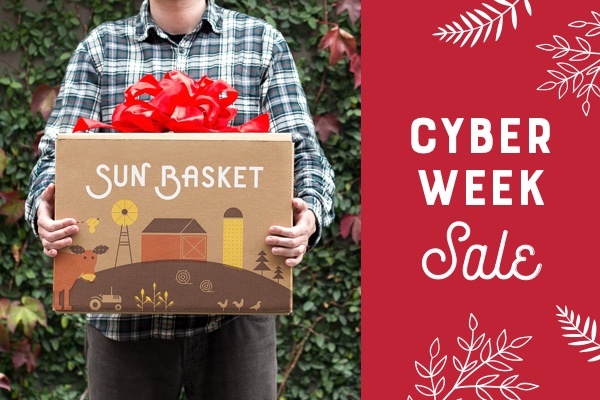 Valid for Cyber Monday 11/26 till midnight PT. That works for their whole site, so also check out the drinking water system we have, it's so affordable, plus it gets out the bad stuff but keeps all the vital minerals in there! Read more about why we love it here: Why we ditched RO water an what we got instead. –>Watch my new video here about this whole house filter! DefenderShield has cool new products now, like a new security/travel pack AND new wallet cell phone cases that also hold credit cards. Right now you can get 20% off PLUS free shipping by clicking here and using the code SUPERSALE18. I just bought a new iPhone XS and had my DefenderShield case before I even had my phone, our kids have these too, that way I don't have to worry AS much about if they move it far enough away from them at night, if our son has it in his pocket, etc… It’s a way to protect yourself and your loved ones from radiating Electromagnetic Fields (EMFs) while on a laptop, tablet or a cellphone. More and more studies are showing that our constant exposure to the devices we’re all so dependent on can cause numerous health problems. DefenderShields are specially made with materials to block, divert and absorb dangerous EMFs. 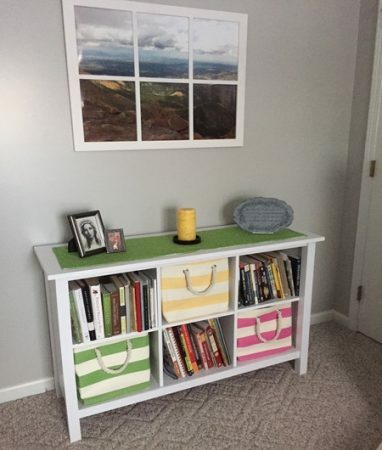 CLICK HERE to see all of their products. Yes, making bone broth is easy, but I love having broth from Kettle & Fire ready to go in my pantry for those times I've run out of my freezer stash. Made with grass-fed beef bones and organic, pastured chicken bones, here is a nourishing, shelf-stable alternative to homemade when we need it or when you're out of freezer space. 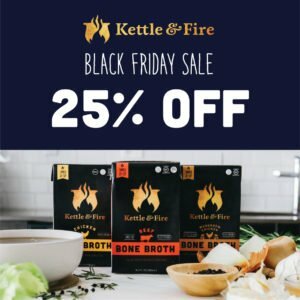 Click here to get 25% off bone broth with code: BFCM25. 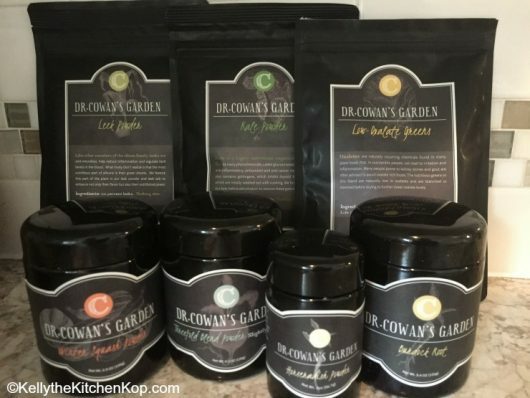 Click here and use the code THANKSGIVING18 for 25% off Dr. Cowan's vegetable powders. I love to add these to soups and sauces for an extra antioxidant nutrient-blast! Vital Choice is my favorite place to get wild seafood because all of their fish products are sustainably wild-harvested. I love their cans of boneless, skinless salmon to make my yummy Salmon Patties, but they offer a huge array of cod, anchovies, tuna, halibut and more. Right now you can get 15% off storewide with code BFNX18. CLICK HERE to start shopping. Sometimes life is hectic, or maybe you are looking for a baby shower gift, or you have a friend recovering from an illness. Whatever curveball life throws you, you can get these tasty organic meals ready to be fast-cooked, delivered to your door. With options for every lifestyle (Paleo, Vegetarian, Gluten-Free, and Family Friendly), there is something tasty for everybody. In case you need new cookware, new sheets, or you're on a redecorating kick like I was there for a while, Wayfair is having a big sale too. Click here to check out their deals, valid 11/16/18-11/30/18. Check out all of the Amazon Black Friday sales. Find what I buy in every category here. Need some real food recipes? Click here for my complete index. Got questions I can help you with?